It’s so easy to put your saddle on the stand and walk away when snow starts to fly in the fall. 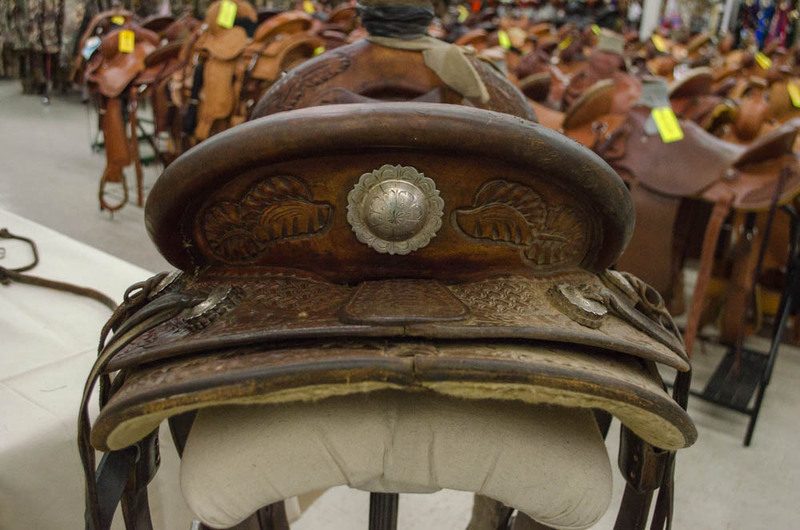 But that leaves a lot of dust & residue on your saddle so when you take it out in the spring, it’s WORK lookin’ you right in the face! When you’ve put that much into a good Western saddle, you want to make sure your saddle stays clean and conditioned! Marty Thompson, our Western Saddlery guy, will take you through the most important parts of cleaning a saddle, whether you’re putting it away or taking it out in the spring. 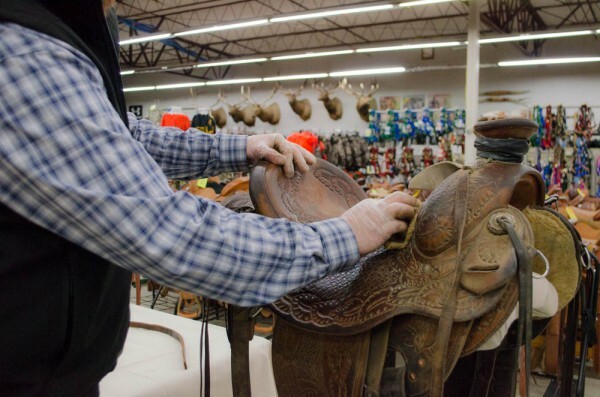 Plus, if you have leather cowboy boots, scabbards, or headstalls that need a good cleaning, you can use these same steps to condition your leather. 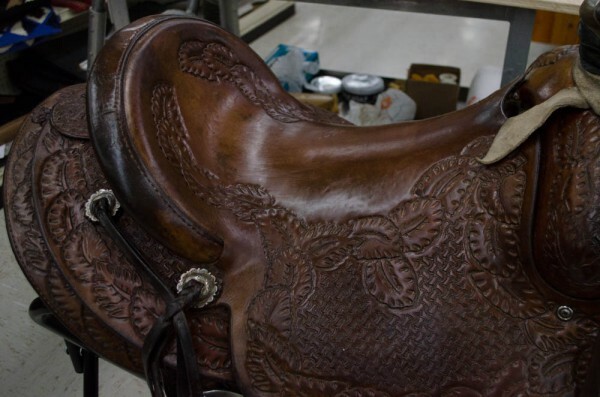 Here’s a customer’s saddle. For some reason they were happy to volunteer when we asked around who wanted their saddle cleaned for free! Everyone has their own preferences. 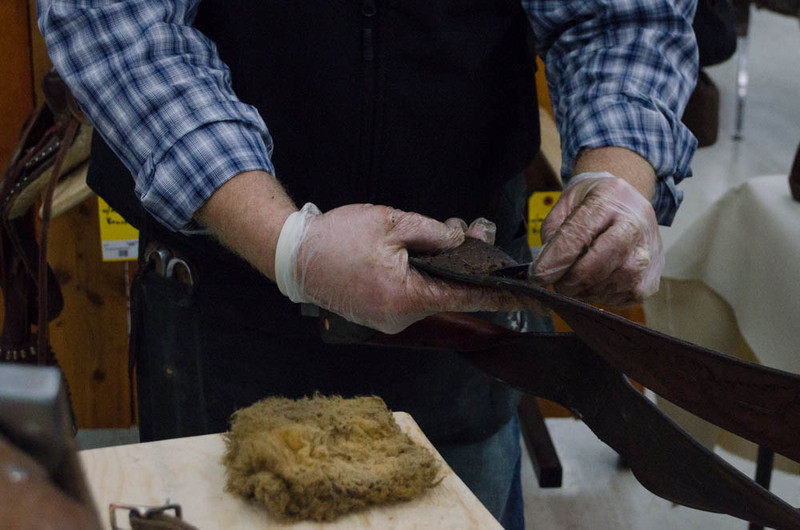 Marty’s not only sold tack for 20 years here at Smith & Edwards – he does leatherworking & builds saddles in his spare time. So here’s what he recommends, based on his experience. 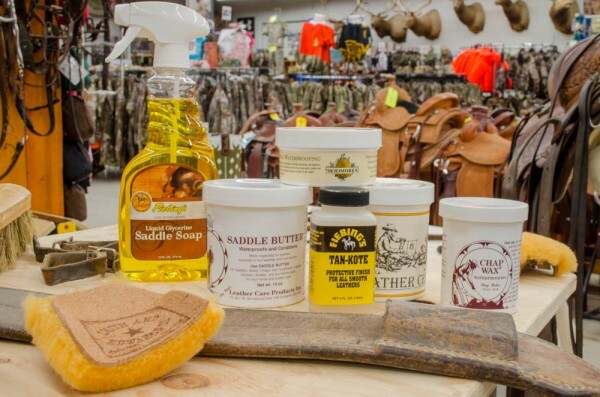 There are lots of products for cleaning your saddle, from Fiebing’s, Skidmore’s, and Ray Holes. A wool pad or scrap of sheepskin will help you gently rub the leather cleaner & conditioner into your saddle & gear without scratching. 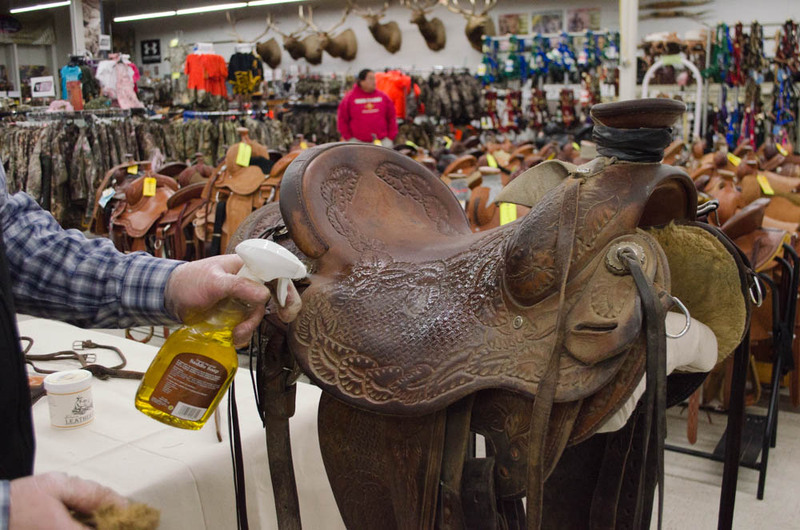 Before Marty started with products, he took a bristle brush to the saddle to get off most of the dirt before coming in with the liquid. 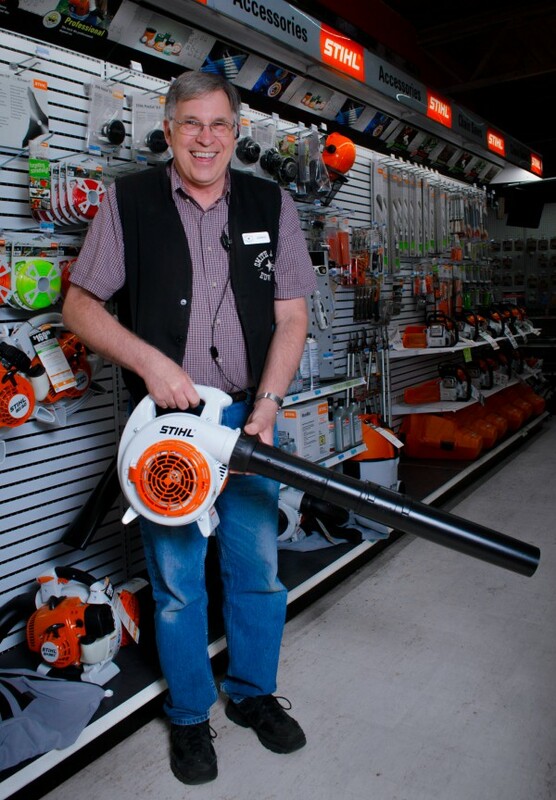 An air compressor works good too, if you have one – especially under the skirts and jockeys! 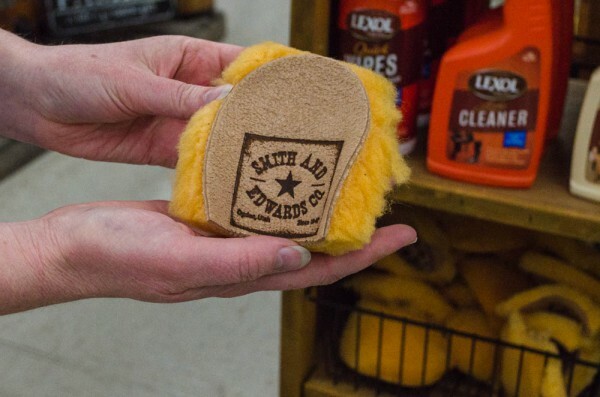 If you have a REALLY dirty piece of leather, you can use some dish soap on it. Then, you need to come back and condition it afterwards. Marty likes using Fiebing’s Liquid Saddle Soap. This spray seems to cover better than paste, and you get less residue in the cracks of the leather. You can use a paste with a wet cloth, but if the paste gets too thick it might be hard to work out of your leather’s creases and details. 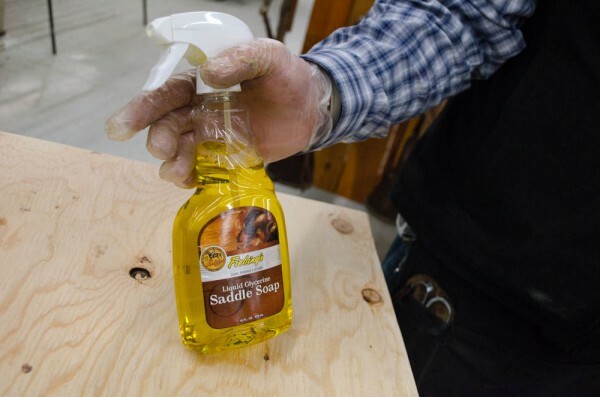 The Liquid Saddle Soap cleans it out really well, and it also lightly conditions it at the same time. Plus, it’s great to be able to spray in the spots you want. If a saddle has a lot drier feel to it after going over it with saddle soap, you could go over it with some neatsfoot oil to condition it deeper. 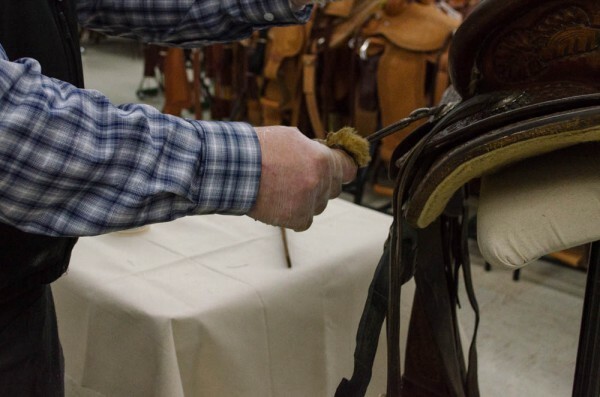 A soft cotton cloth is good to use for rubbing the liquid into the saddle. You can also use a soft sponge or a piece of sheepskin. You want something that is soft and won’t scratch the leather, and also holds the cleaner and conditioner well. 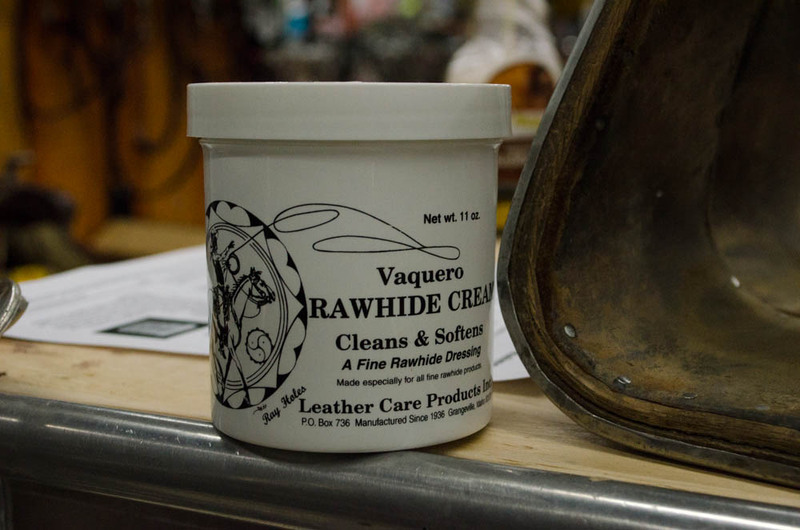 If you have an older saddle, or maybe a saddle that hasn’t seen enough care, the Skidmore’s Leather Cream is a great way to deeply condition your leather. You don’t have to wear gloves. Marty likes to wear gloves because that way he’s not running to the sink to get oil off his hands! 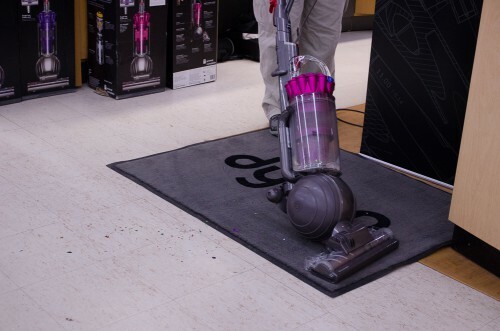 You want to clean your leather and get all the sand, dust, and dirt out of there. That helps your leather last longer and brings the beauty back into that leather. It’s really important to do more than a surface clean when you care for you saddle. When you’ve got sand and dust trapped in the fenders and parts of the saddle, it acts like sandpaper and wears out the leather. You want to get in the fenders, the saddle strings, stirrup leathers. And the cinch and back billet are really going to want cleaning. 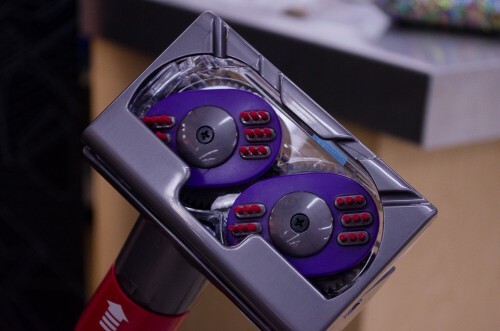 Make sure and finger-clean all the hair, sticks, and dirt out of your cinch. Make sure and get your rosettes and conchos shined up while you’re at it! Halfway through! Marty’s cleaned the left side of the saddle, and he’s only brushed the right side so far. If your silver conchos are really tarnished, go ahead and take them off your saddle, then take some silver polish to them. That’s because some silver polishes can turn your leather white, so you want to be sure and take the silver off the leather before you introduce the chemicals. 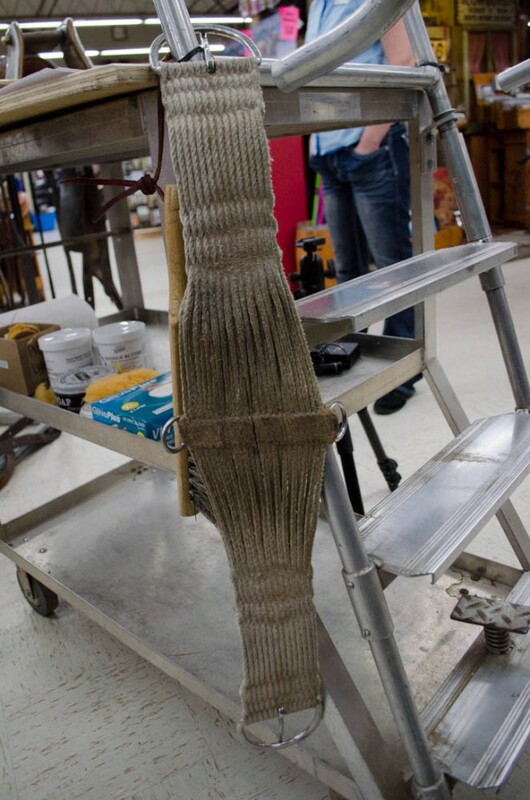 A lot of dirt and hair will build up where the stirrup hangs, so scrape and break up the dirt. 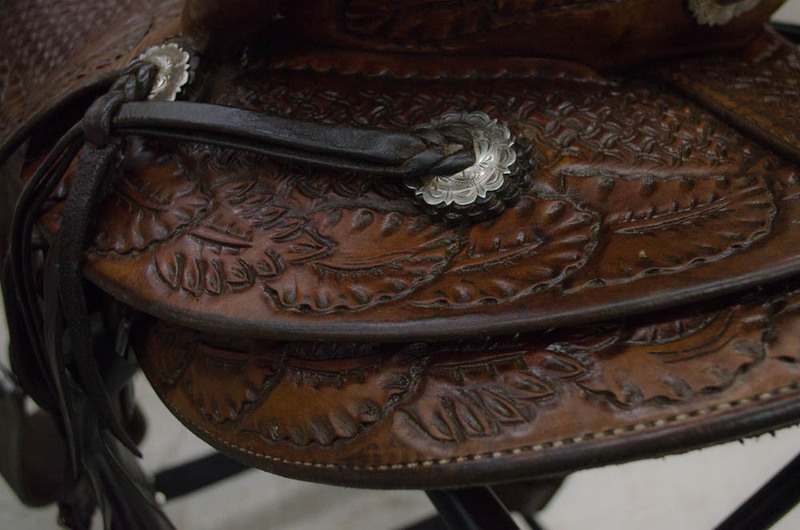 You can scrape off the mud with a pocketknife on your stirrup leathers, and then you’ll be able to get the conditioner in the leather. You’re not digging into the leather with your blade – just prying off the caked dirt. If you have a rough-out or suede seat, you’ll want to use Bickmore’s Bick 4 instead of an oily conditioner, so the oil doesn’t come out on the seat of your pants! This type of product is also good for leather couches and car seats. 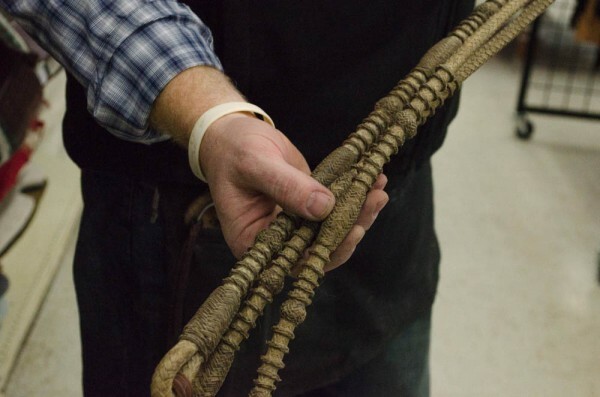 If you have some nice rawhide-covered stirrups, a rawhide bosal, or rawhide reins like these romal reins, Marty recommends Ray Hole’s Rawhide Cream (click to shop). Same idea on cleaning rawhide: brush off any dust & dirt, then take a piece of sheepskin and work the rawhide cream into your gear. Ray Holes’ Saddle Butter conditions the leather well, AND has a waterproofing component in it. 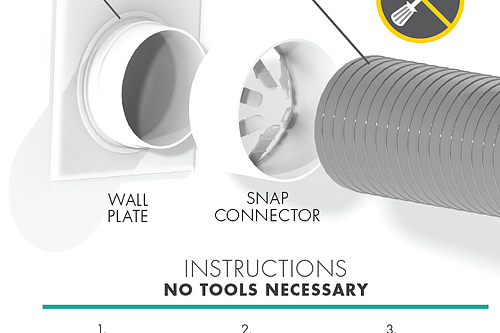 Ray Holes also makes Chap Wax, which is specifically designed for waterproofing. 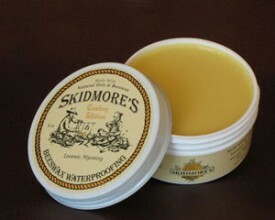 Skidmore’s also makes a waterproofing from beeswax. Each of these penetrates into the leather well and helps the moisture bead up and roll off instead of soaking into your saddle! How do you waterproof your leather? Same process: clean your leather off with a brush and then a conditioner. Then, put on a coat of waterproofing. Make sure and let your saddle dry on its own, at room temperature – this may take a half hour. To finish your leather, put a coat of Tan-Kote on your gear. Tan-Kote, by Fiebing’s, gives your leather a bit of shine and also helps repel dust and dirt. Plus, it’s a softer product with a water base, that won’t cause your leather to crack. 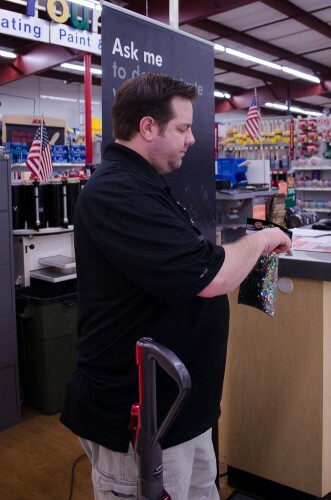 Get more tips like this in your email! Enter your email address & Marty will send you more tack tips plus let you know when he puts his Western tack & gear on sale. Marty put this kit together so you can get everything you need in 1 place to clean and waterproof your leather. 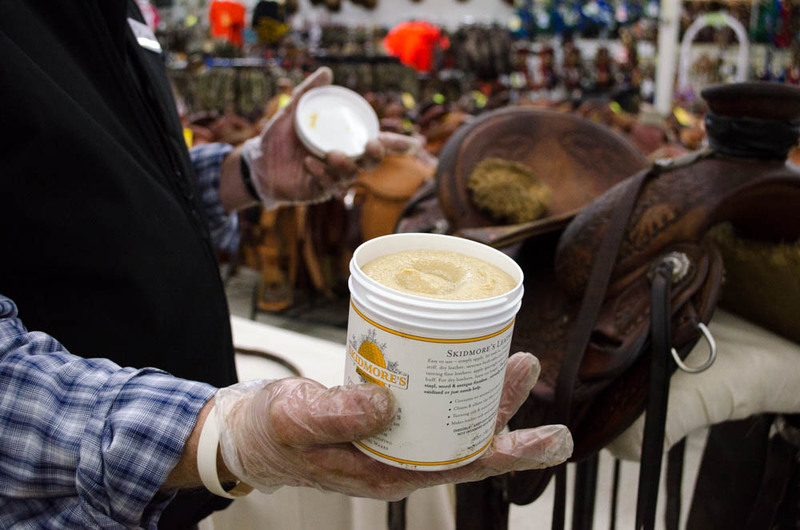 Skidmore’s leather products are made in the USA – which we love – and they’ll work great on your saddle & tack. 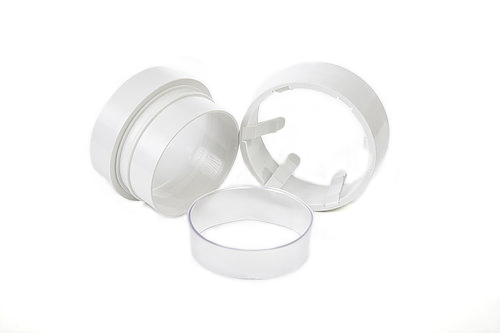 Plus, you save money by buying these products in the kit – AND you get a sheepskin piece to work it in! We don’t sell these sheepskin scraps on the website, so Marty’s kit is the only way for you to get your hands on one of these! Click here to check it out. 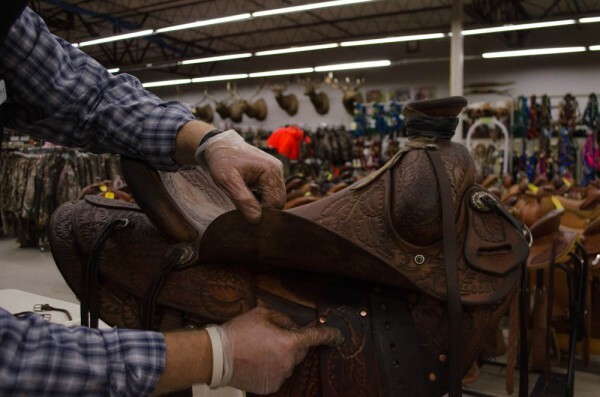 How do you care for YOUR saddle & gear? Let us know! Did you get a gun for Christmas? Looking to get a good deal at our Gun Auction? Or maybe you’re a hunter who needs extreme accuracy for shooting an elk 350 yards away. 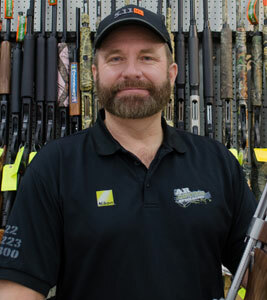 You can see part of our hunting department on SmithandEdwards.com! 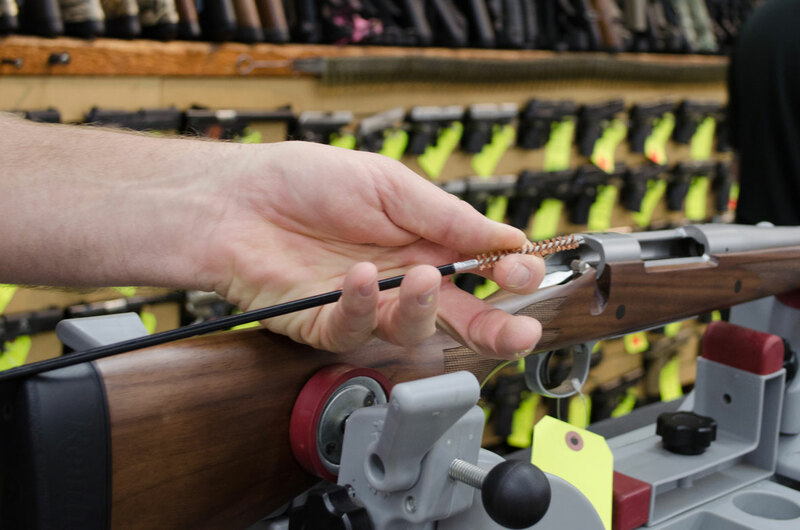 (click here) We’ve got a selection of our most popular hunting and range accessories for you online. 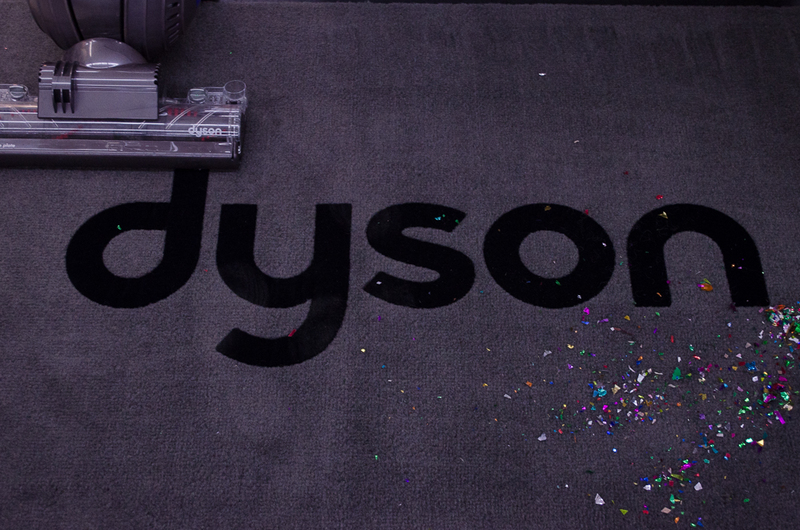 There’s way more in-store! 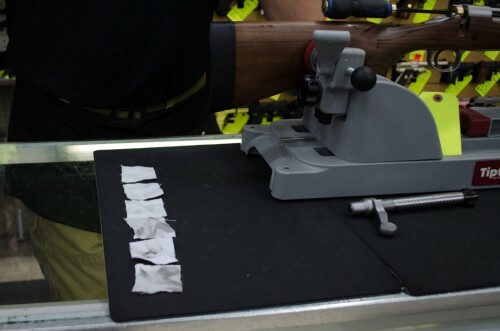 You may know how to keep your gun dry and safe, you also want to know how to clean your rifle to keep it accurate and firing properly. Every gun needs a good cleaning to keep it functioning the way you need it to in an emergency, on a hunting trip, or just going out to the range for practice. 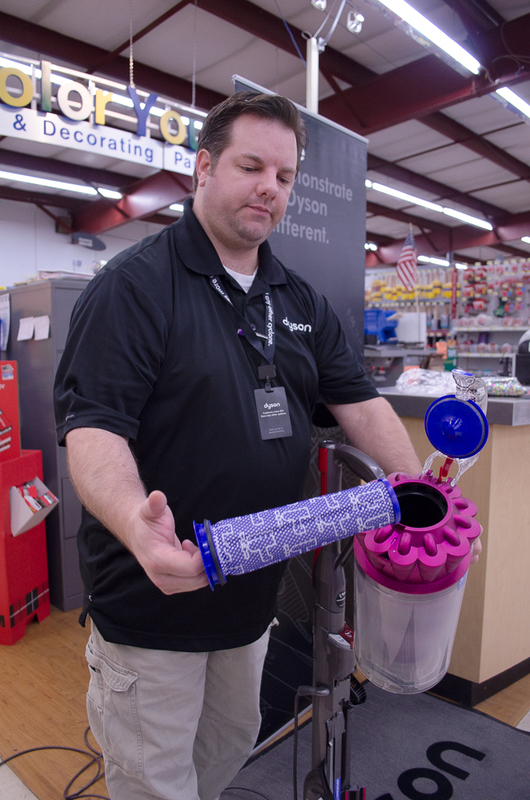 Eric Halter from our Gun Counter will walk you through the basics of cleaning your handgun so you can keep yours in great condition. Eric knows how to keep a gun clean and firing properly because it’s what he does. 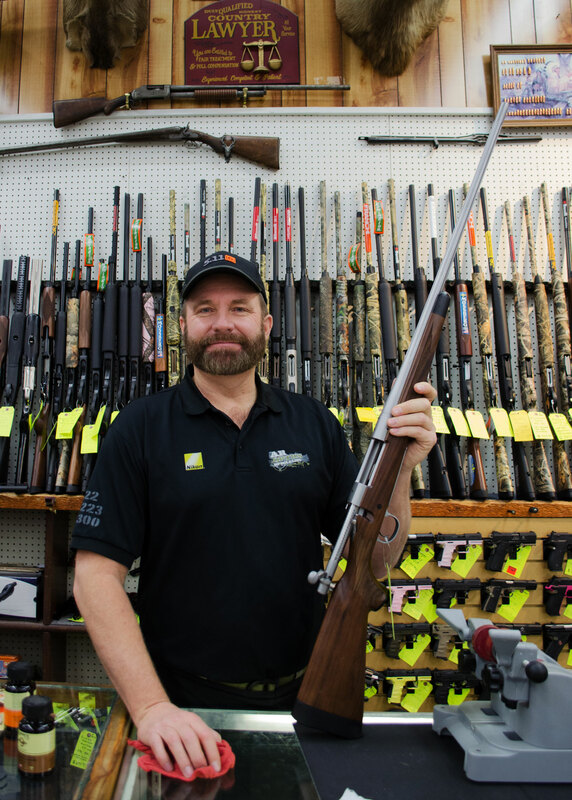 When he’s not at Smith & Edwards, Eric spends his time as a gunsmith – something of a family trade, he’s had over 30 years of experience gunsmithing. Every time your gun is fired, carbon and copper residue gets deposited and builds up in your bore. 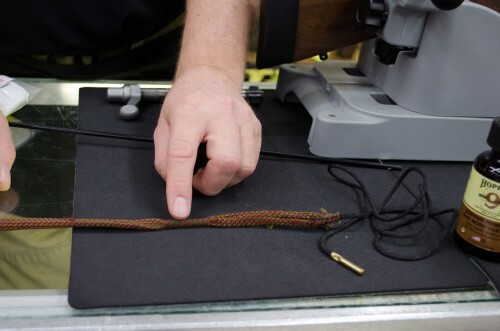 A boresnake is a fast way to clean out that residue, and for a deep cleaning after a hunting trip or a session at the range, you can use brushes and patches along with cleaners to restore your gun to pristine condition. A field cleaning is a basic cleaning to get the residue out of your rifle while you’re out in the field. So if you’re not in a place where you can set out all your supplies like your gun vise and cleaning rod, and take the time to give your gun a good cleaning, all you need is your boresnake to do a field clean. 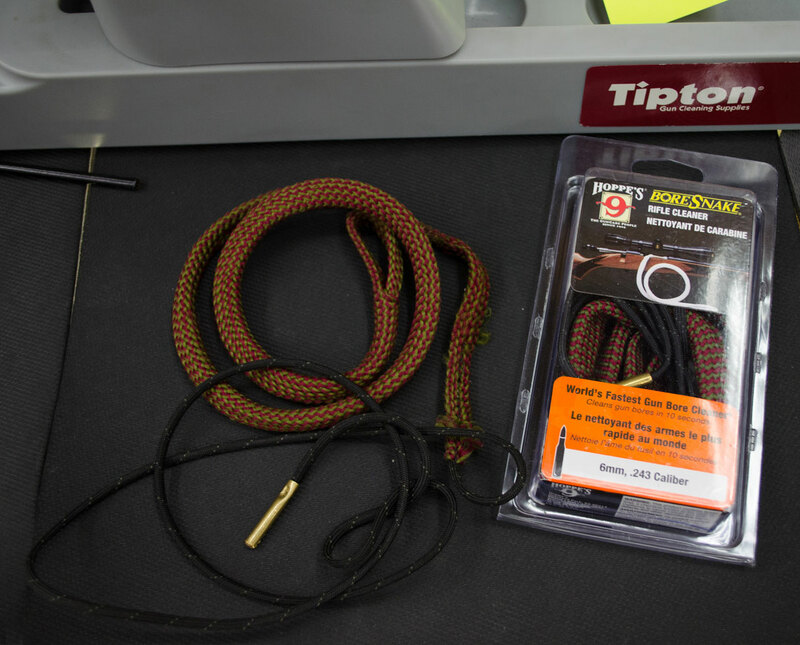 If there’s rain and you’ve gotten water down your bore, if you’re in inclement weather, or you’re in a harsh, dusty, and dirty environment, this is the #1 method to get your rifle back in shape from breech to muzzle. 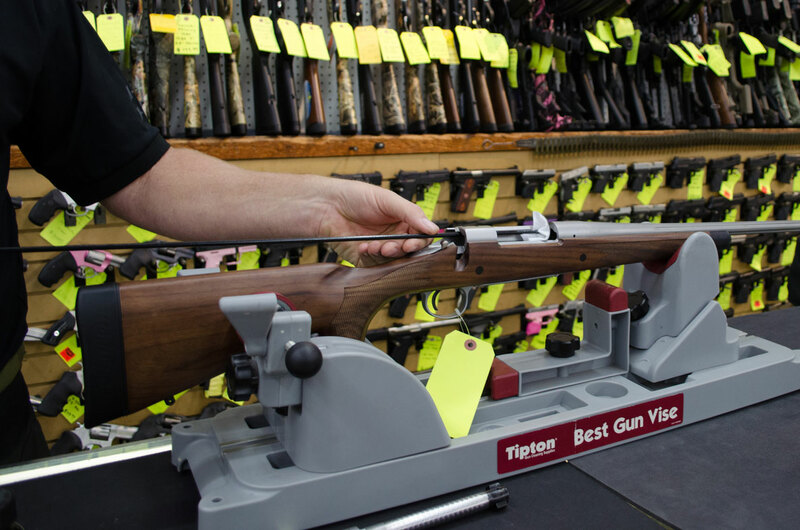 Take your rifle, making sure it’s unloaded, and remove the bolt. Drop the weighted end of an oiled boresnake down the barrel and pull through the bore, out the muzzle. Do that 2-3 times, and you’re good to go. 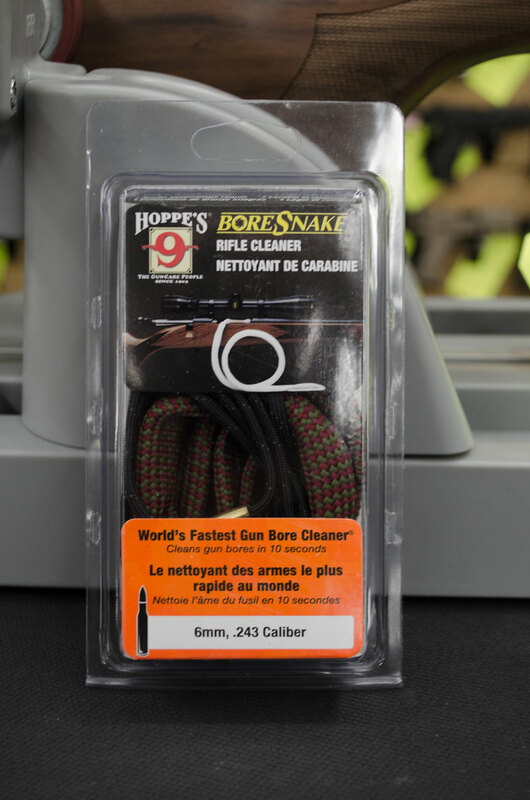 Before you go on your trip, lay your boresnake on your bench and wet the first 1/3 of the bore with a bore cleaner like Hoppe’s #9. Then coil it up and put it in a ziploc bag. Now when you’re out in the field to do a field cleaning, you pull out your ziploc bag, take out your boresnake, and pull that through your rifle and clean out the residue. 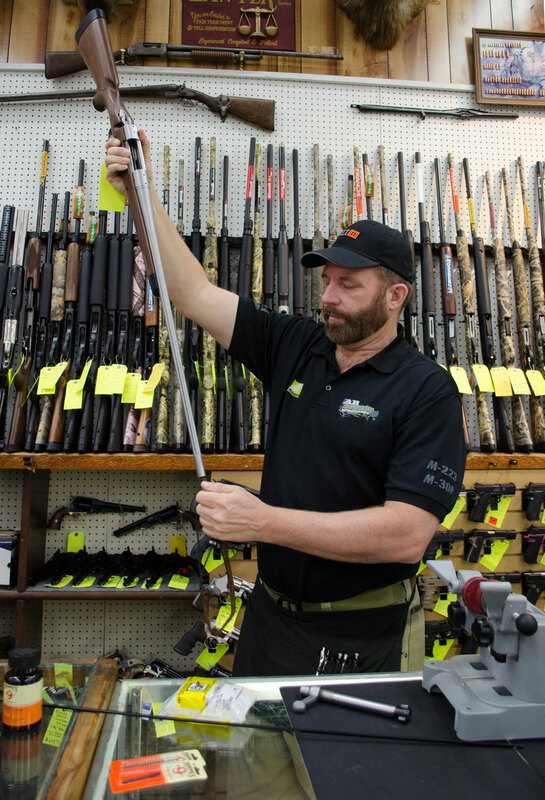 The brass bristles in the boresnake will help give your gun a good brushing. When you get home from your trip, you’ll still want to give your gun a good cleaning. 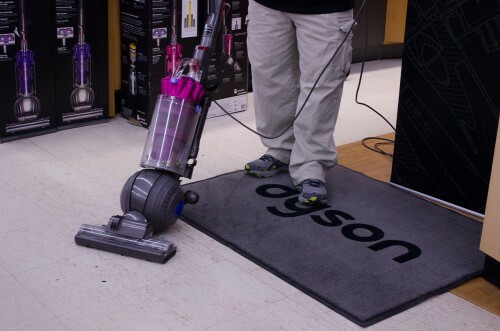 A quick & easy field cleaning like this will help you in the field to get the majority of the carbon out, keeping it lubricated and water-resistant, but it won’t take out the heavy copper deposits or carbon deposits like a good deep-cleaning at home. So Eric’s going to show us how to give a long gun the good cleaning it needs. 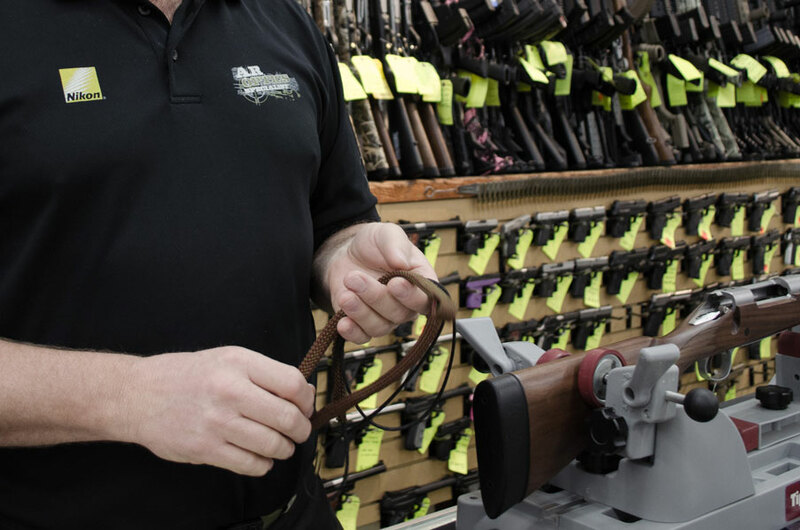 You can follow the same steps on a shotgun or pistol. We should mention that your first step ought to be to read your owner’s manual. This will help you see exactly how to disassemble your gun and clean it. Get familiar with your weapon and how to take care of it. 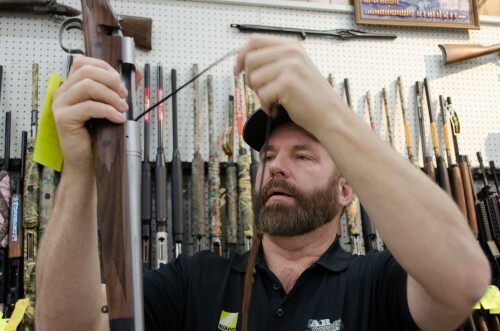 OK, once you get home from the field or the range, set aside a half-hour to give your gun the TLC it deserves. 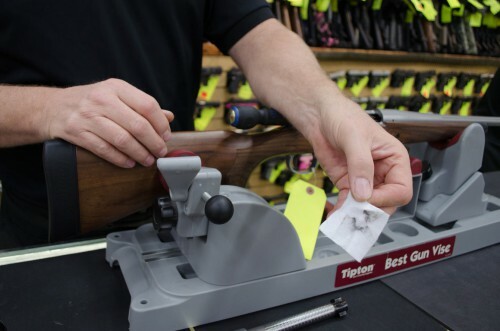 You’ll need: your gun, a gun vise (and a counter or bench to set it on), a cleaning rod with a brush and a jag attachment, cleaning solution, lubricant, flannel patches, and a shop cloth. Make sure your gun is unloaded, and then remove the bolt. 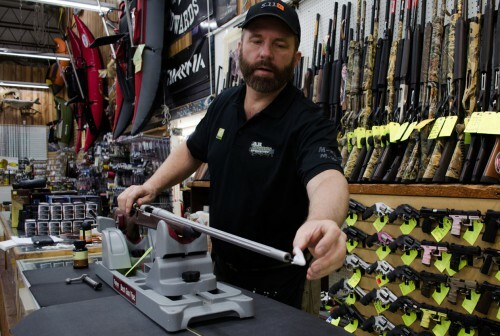 Rest your gun in a vise. Take your bore brush and screw it onto your cleaning rod. 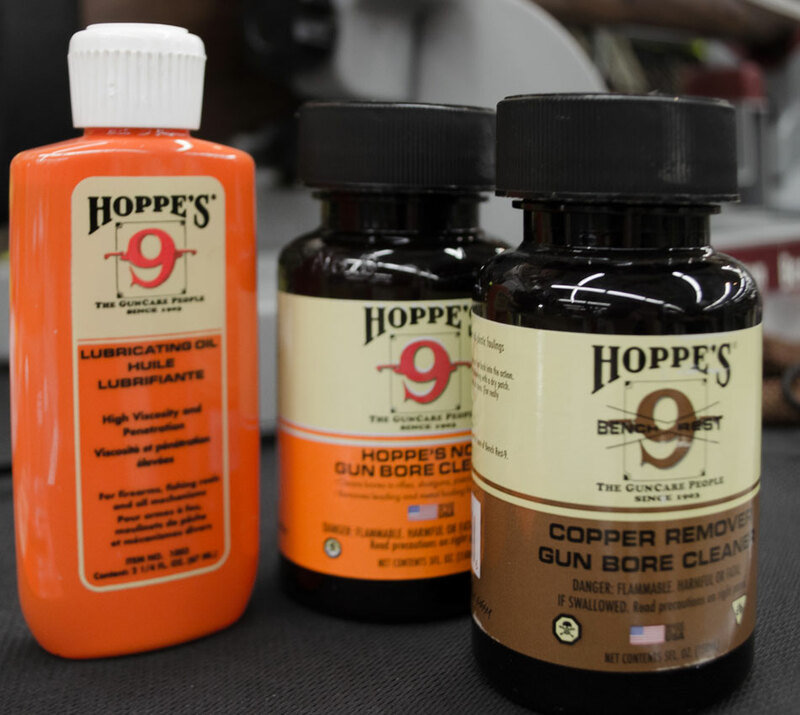 Dip your brush into your solvent (we use Hoppe’s #9 Copper Solvent). 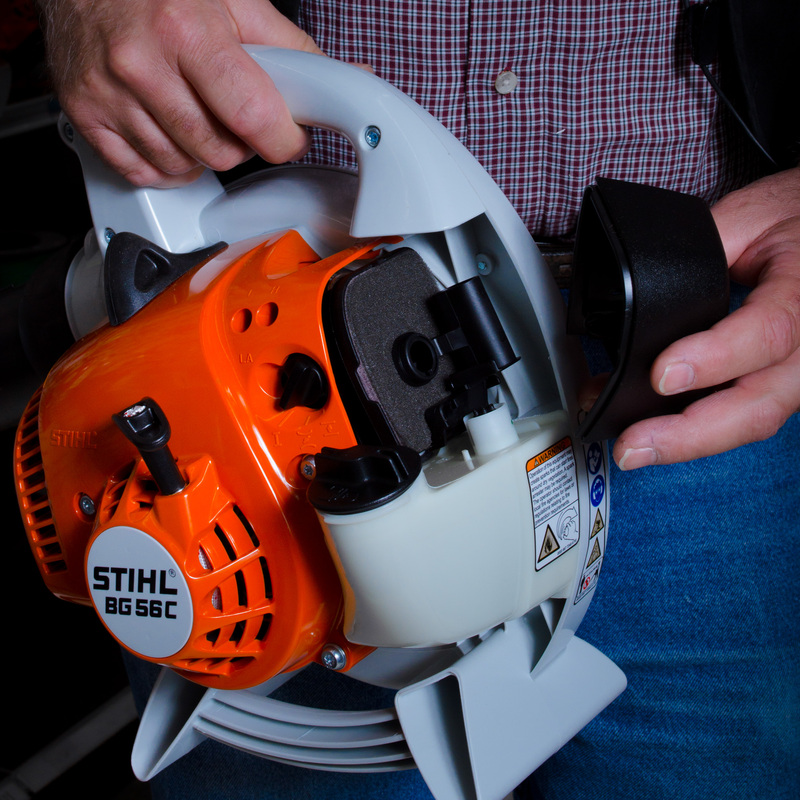 Push the brush and rod through the bore through the end. 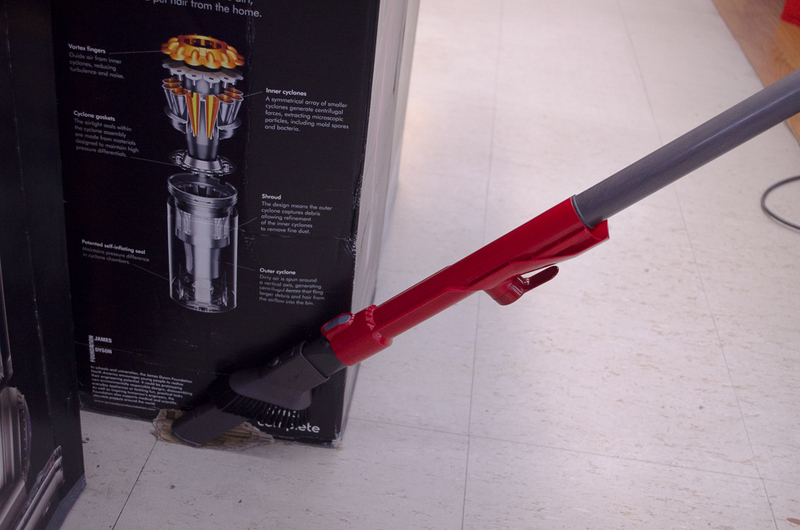 Do about 20-25 strokes back and forth, then take it out and set your cleaning rod to the side. Let it set for about 5-10 minutes for the chemical reaction. Let the bore cleaner work on the copper fouling and the carbon deposits. 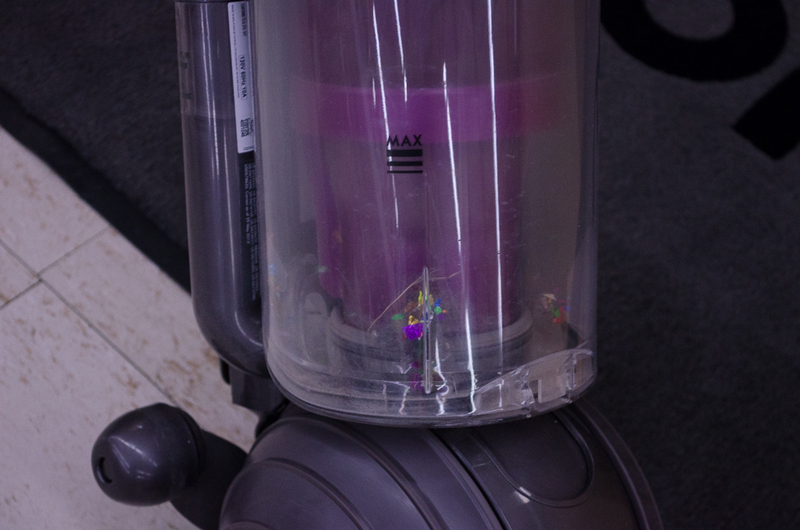 Take your patch jag and screw it onto your cleaning rod. Take a flannel patch and pull a corner halfway through the jag, and fold it over the end. Then, take the patch and run it down through to clean out the dirt in the bore. Repeat brushing with solvent as needed. Keep running fresh patches down through the bore til they come out clean. Now it’s time to lubricate the bore. Drop 8-10 drops of oil onto a patch and run it down your bore. 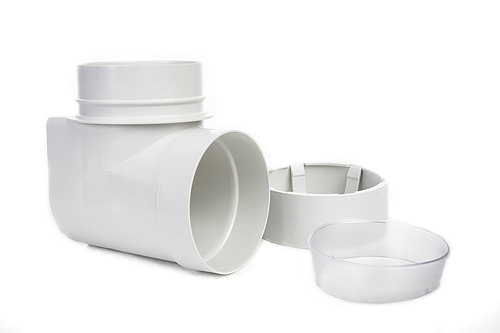 This is a preservative, so that humidity and moisture won’t get in there and rust the bore. 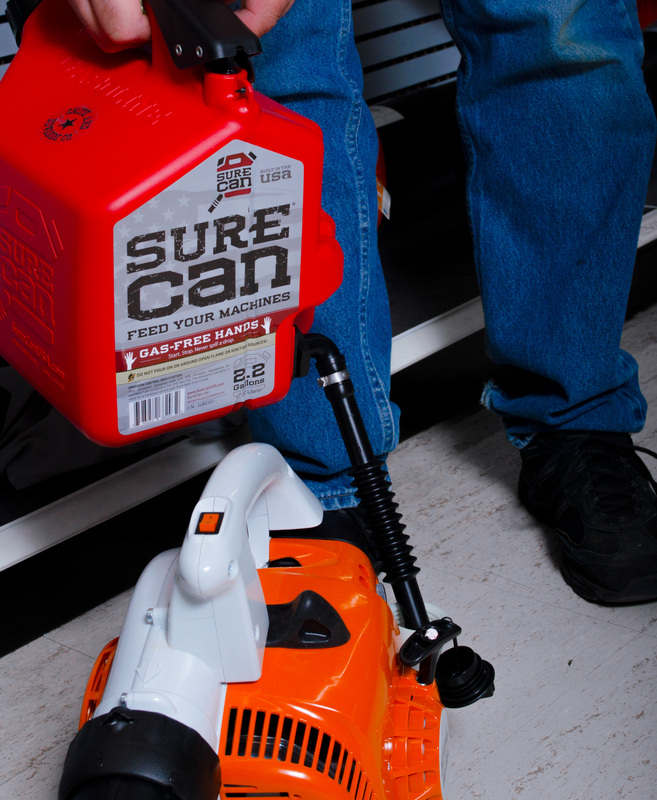 Take a dry patch and run it down the bore to remove any excess lubricant or cleaning oils that are in the bore. 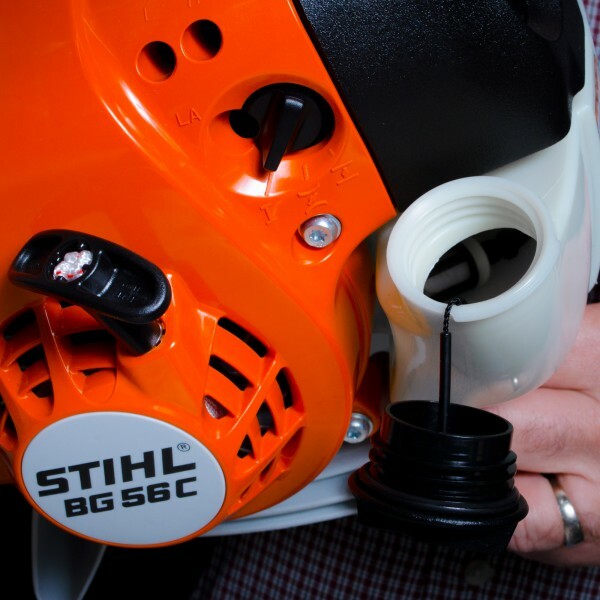 Take one of your patches that had cleaner on it and clean your bolt. Then, lightly oil the bolt. When you’re done, take a good clean shop rag and wipe down your gun so it’s clean and dry, removing any oils, dust, and dirt. Put the bolt back in the rifle. 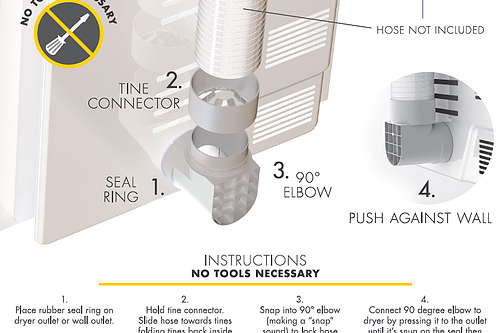 These steps are identical for handguns, revolvers, and shotguns. 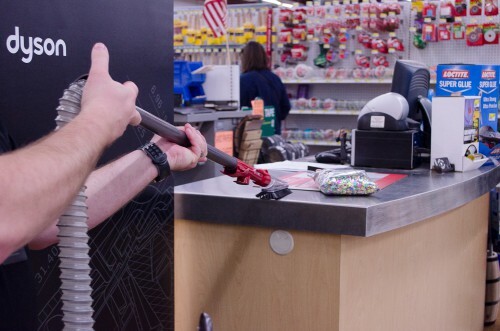 The only difference with a handgun is you’d use a shorter cleaning rod. 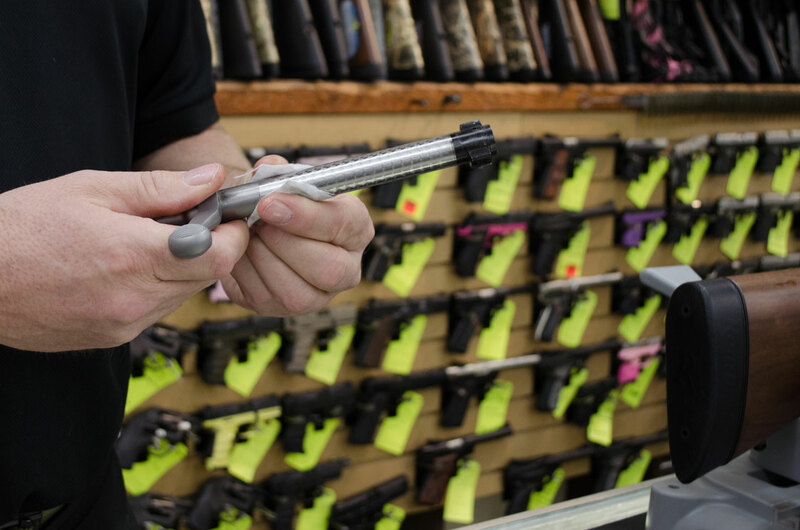 Handguns typically don’t get cleaned as often as they should, so for best performance try to do it after every trip or every other trip to the range. Just use the same cleaners and process to get rid of the copper and carbon residue in the barrel. You know your gun best. 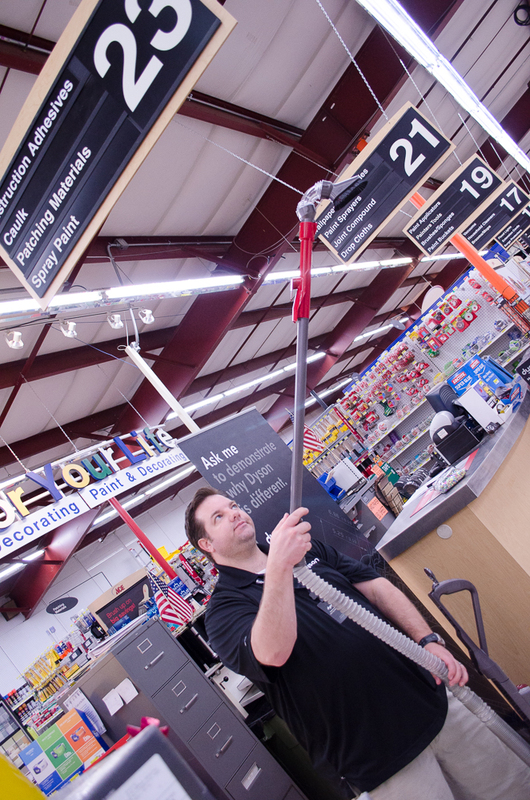 Eric recommends you do a good cleaning like that every other time you shoot. You should run a boresnake through it after every shooting session. 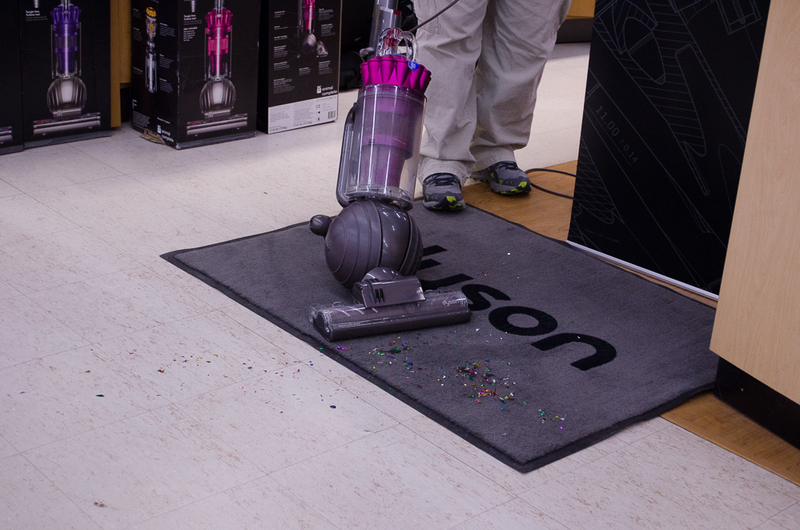 If your goal is extreme accuracy, you’ll want to clean after every shooting session. 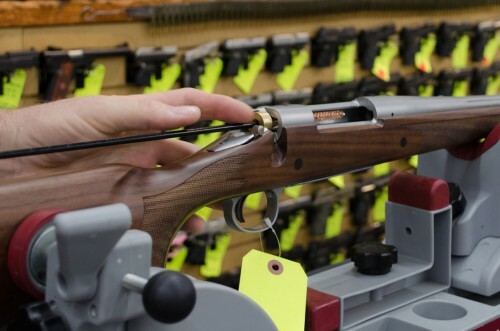 Your rifle can shoot through a certain amount of fouling without a problem, but after anywhere from 30-100 rounds, you’ve got fouling in there that will affect your accuracy. If you’re out looking for an elk across a canyon or really needing to hit a target, you’ll want your barrel clean. If you’re a waterfowl hunter, you’re out in harsh environments – rain, cold, sleet, snow, mud – and your shotguns really take a beating. 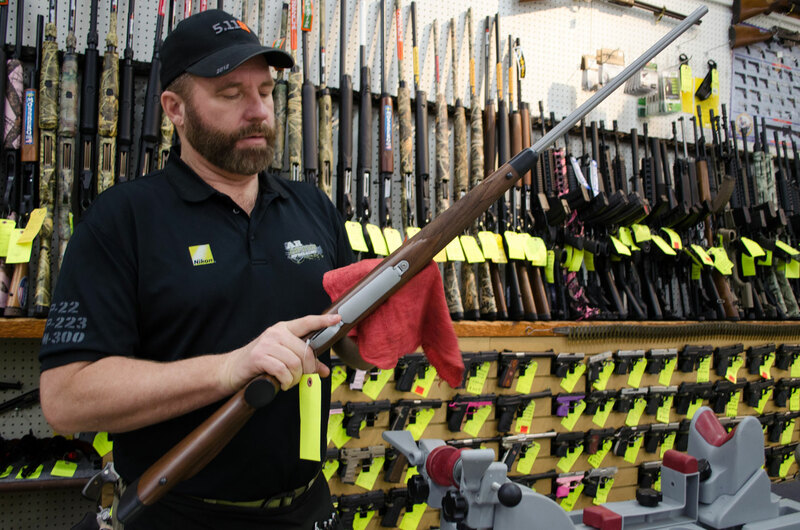 It’s vitally important to clean your shotgun thoroughly after every usage – making sure to oil it well to keep it water-resistant. 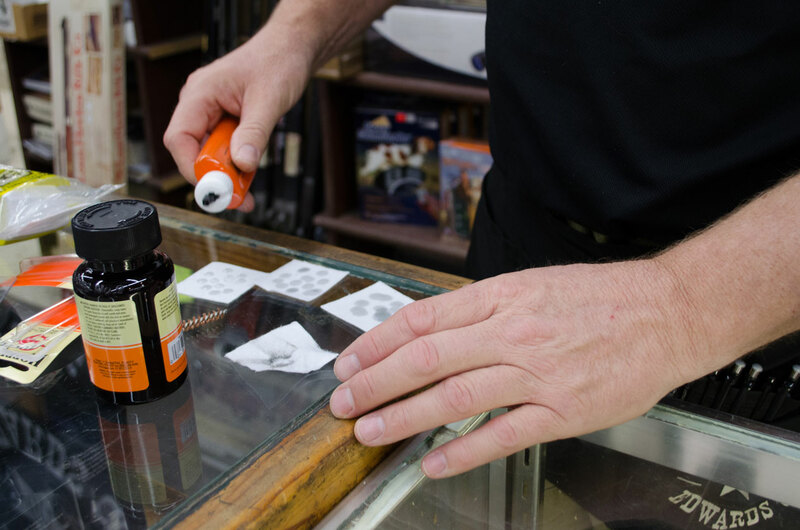 If you’ve got a handgun for home defense, even if you don’t shoot it during the year, the preservative oils can evaporate over time. So while you don’t need to clean it, because you haven’t fired it, you do want to re-oil your home defense firearm once a year – whether it’s a rifle, pistol, or shotgun. 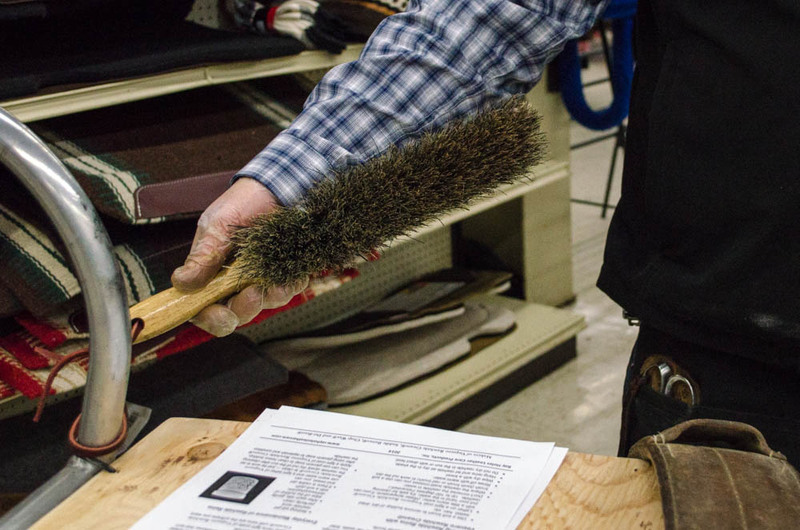 There are a lot of companies that make gun cleaning supplies. 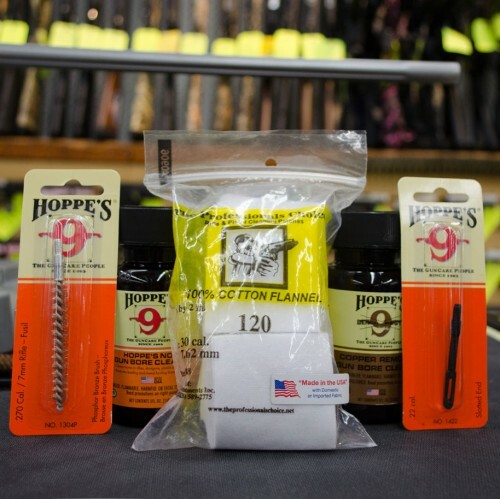 Hoppe’s is a great company that has brushes and cleaners, and Outers and Gunslick make great cleaners too. 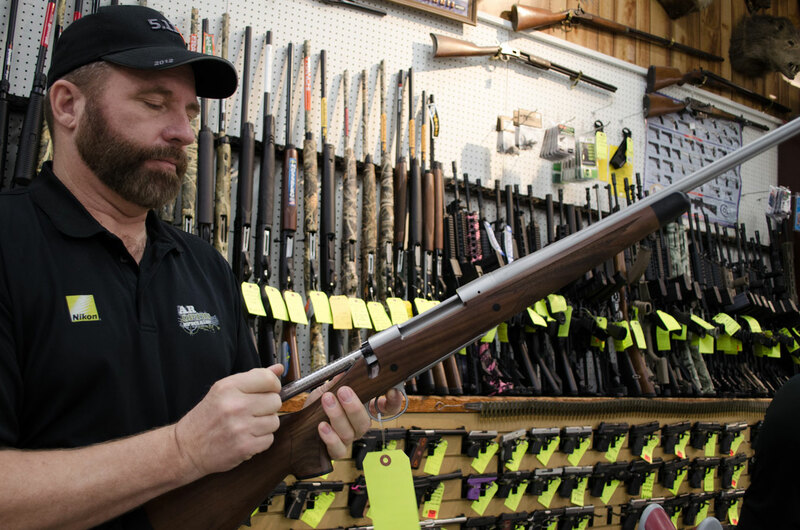 You can also get kits from gun manufacturers, such as Winchester and Remington. All these are pretty affordable, you’re looking to spend about $20-40 on a kit. 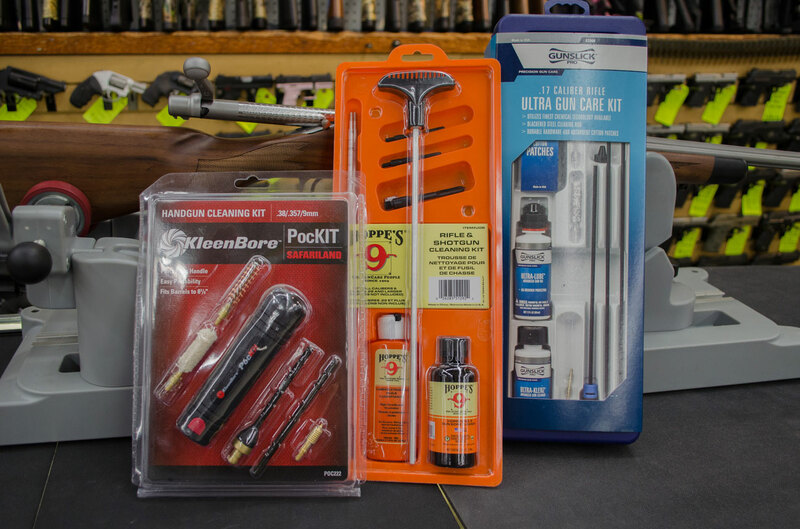 Eric picked out some kits – these are just a few of the dozen or so gun cleaning kits we have here in the store. The small one is a universal handgun cleaning kit. We’ve also got Tipton’s Best Gun Vise $99.99 – this vise can adjust to fit rifles, compact pistols, and everything in between. You can find all these gun care products and much more in our Sporting Goods department here at Smith & Edwards. Bore snake – a must-have. Bronze brush and a Slotted Jag – they come in a huge range of sizes, so get the one that fits your bore so you don’t have to scrub as much. We’ve got tons of flannel patches, a bag will run you about $5. 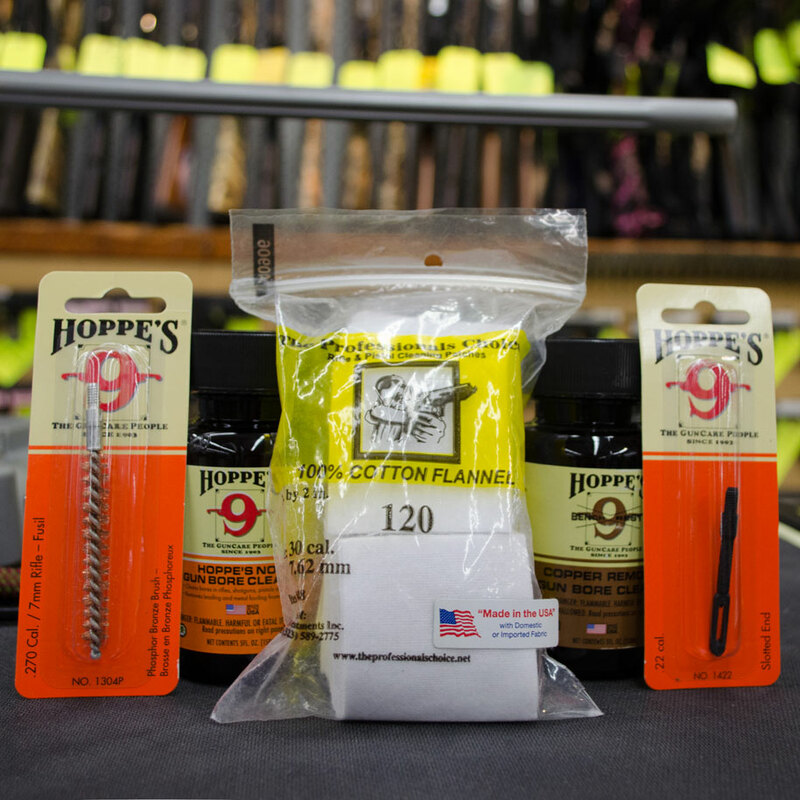 Orange-label Hoppe’s #9 Gun Bore Cleaner: your standard, all-purpose cleaning solution. Brown-label Hoppe’s #9 Copper Remover is a copper solvent that will dissolve the copper out of your bore. You’ll know it’s working when your patch comes out with a turquoise-green tint to it. Keep running the patches down til they don’t have that blue tint on the patch. 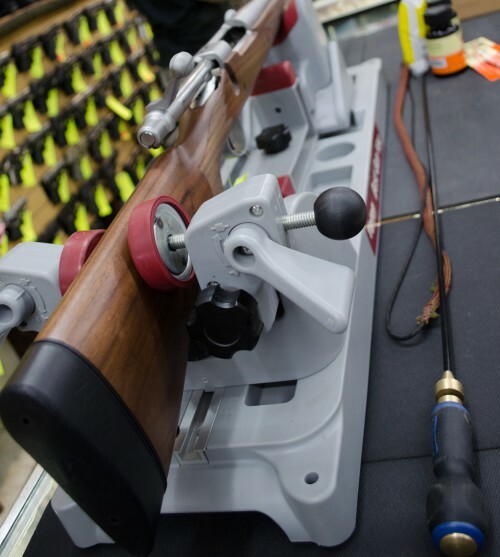 This copper remover is what you’ll want to use frequently if you’re an extreme accuracy shooter or into long-range shooting, to get the pristine bore you need. 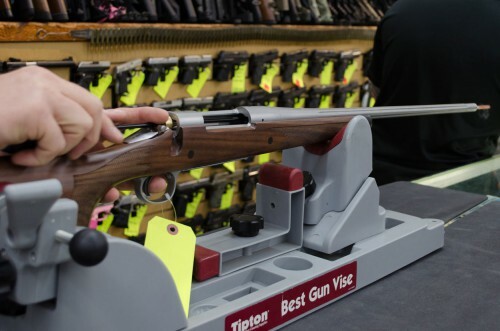 If you’re familiar with your rifle’s trajectory and exterior ballistics, you don’t want to waste that knowledge by having a dirty rifle and not being able to count on the bullet’s trajectory. Hoppe’s lubricating oil is a great choice for keeping your bore dry and rust-free til you use it again. 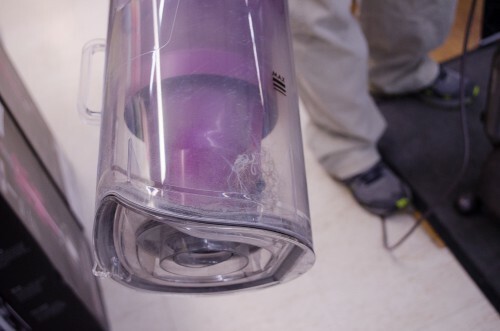 It doesn’t have much of an odor at all. 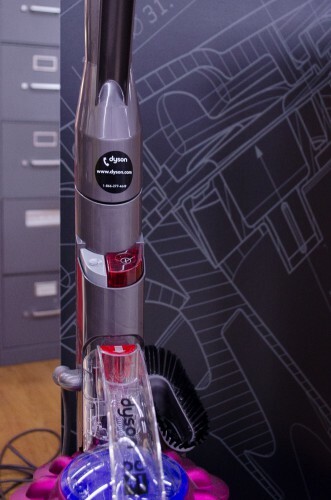 Break-Free CLP is another good choice. Cleaning rod: Pretty basic, you’ll want either a rifle cleaning rod or a handgun-size cleaning rod. This particular one has a sliding piece of brass that fits on the rear of the action, so the rod stays aligned in the center of the bore, so you get a good clean, and faster. 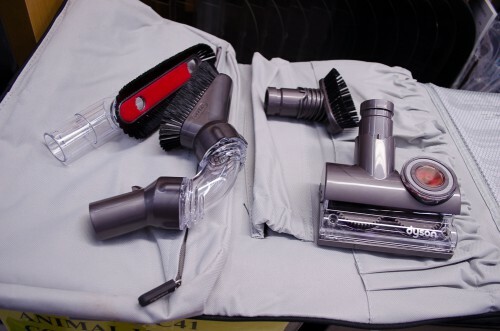 How do you clean your handgun or rifle? What are your tips & tricks? Leave a comment below and let us know.